Update: a limited number of AAA Pass packages for this event are now available. Buy one of Ringo Starr's new photographic prints and meet briefly for a professional portrait alongside Ringo and the print of your choosing. Click here to find out more. 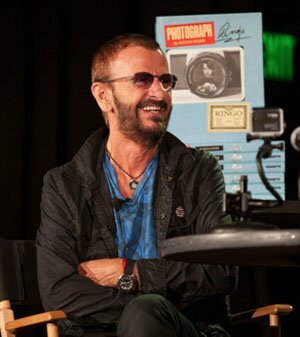 Ringo Starr will be making a special brief appearance at Toronto’s Indigo bookstore on Tuesday 20th October. Tickets for the event go on sale today at 7pm EST. For more information and to purchase yours today, click here. Your ticket includes a copy of Ringo’s PHOTOGRAPH memoir, with an exclusive commemorative bookplate. We hope that our Canadian friends can make the event. Here’s what some of our attendees had to say about Ringo’s recent appearance at LA’s El Rey Theater (pictured left, photo by Scott Ritchie).